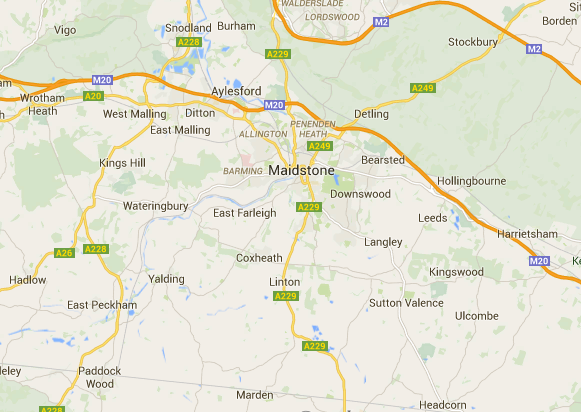 We are here and ready and happy to help anyone in need of Plumbers Maidstone. Regardless of what time you need a plumber, at TD Robinson Heating And Plumbing Maidstone we are here to help. We offer all our clients free no obligation quotations and estimates on all plumbing and heating works across Maidstone. If your looking for plumbers maidstone now, call us now for a fast trustworthy response on 01622 410113. 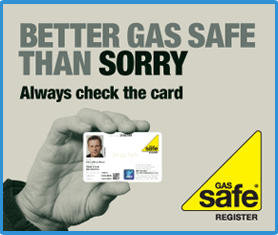 Looking for Local reliable Gas Safe Registered Plumbers Maidstone (Gas Safe Registration Number: 192617). With over 40 years combined plumbing experience in Maidstone, our team of fully qualified Gas Safe Plumbers Maidstone complement their areas of expertise to ensure that our service addresses all relevant aspects of Boiler Repairs Maidstone, Boiler Servicing Maidstone Central Heating and Domestic and Commercial Plumbing across Maidstone. TD Robinson Heating And Plumbing Maidstone was formed in 1998 as a family run business by Toby Robinson. Over the past 15 years we are proud to offer a Team of experienced and professional Plumbers Maidstone at affordable prices. TD Robinson Heating And Plumbing use 24 HR Emergency Gas Safe Plumbers Maidstone to Service all your Plumbing, Heating & Installation Needs across Maidstone so we know we can help you. Are you in an emergency? or looking for skilled Gas Safe Plumbers Maidstone with a great reputation to give you peace of mind any time of the day? Then you’ve come to the right place. TD Robinson Heating And Plumbing Maidstone are ready to respond to all your plumbing and heating needs whether its and emergency or not 24 hours a day 7 days a week across Maidstone. Plus we are happy for you to speak to any of our customers for feedback so you know your dealing with the best Plumbers in Maidstone. As a long-established and highly reliable 24 HR Emergency Plumbers Maidstone, our customers have come to expect the very best in plumbing service, whatever the problem in Maidstone. Here at TD Robinson Heating And Plumbing we offer a fast 1 hour response time for all emergency call outs by our skilled 24 HR Emergency Plumbers Maidstone for your peace of mind. Our sign written vans are always fully stocked and prepared for all emergency plumbing jobs, 24 hours a day, 7 days a week, 365 days a year across Maidstone. No job is either too big or too small, from General Plumbing Emergency’s to Boiler Repairs Maidstone to fixing a burst pipe. TD Robinson Heating And Plumbing Maidstone we strive to complete all our works on time with customer satisfaction held as our number one priority. We offer a professional and reliable service that offers our customers value for money and a guarantee system which offers our customers full peace of mind. Were ready to help YOU 24 Hours a Day 7 Days a Week for ALL your Plumbing & Heating needs across Maidstone. Plumbers Maidstone Plumbers Aylesford Plumbers Detling Plumbers West Malling Plumbers Yalding Plumbers Kingshill Plumbers Lenham Plumbers Harrietsham Plumbers Bearsted Plumbers Larkfield Plumbers Snodland Plumbers Langley Plumbers Staplehurst Plumbers Headcorn Plumbers Biddenden Plumbers Tenterden. So call TD Robinson Heating And Plumbing if your in need of local 24HR emergency gas safe registered plumbers maidstone 01622 410113. You can also find us on thomsonlocal.com and yell.com. Click Here If Using Mobile Phone !! !